Helen Sewell D.Psych.Astrol studied with the Centre for Psychological Astrology (CPA) under the renowned Liz Greene PhD, and is a Relate-trained relationship counsellor. She gives personal consultations and writes for astrological journals and websites. 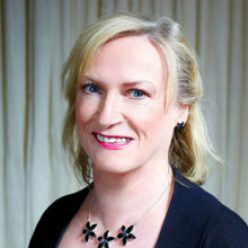 Helen is one of the regular tutors for MISPA, the internationally-recognised Mercury Internet School of Psychological Astrology, and has taught classes for the CPA at Regents College in London. Helen’s presentation for the Alternative View conference in London (see Videos) was broadcast many times on the now sadly defunct Sky channel 200 (Edge Media TV). She has also contributed to books such as Geoff Stray’s Beyond 2012 and her husband Andy Thomas’s acclaimed The Truth Agenda. Her influential article, The Astrology of 2012, which investigated the astrological angle on prophecies of change for our times, was read widely and anticipated many developments which still have long-term consequences today. Helen first became interested in astrology through reading books on standard ‘Sun sign’ astrology when she was a teenager and it was then that she realised there was a definite correlation between what she read and the characteristics she could recognise in the people she knew. As Helen’s astrological studies broadened, Liz Greene became her favourite author and Helen decided to take the opportunity to train under her guidance at the Centre for Psychological Astrology at Regents College in London. After four years Helen attained the Diploma in Psychological Astrology and went on to set up a private practice. Helen also worked for News International on their astrological ‘live line’ for two years to hone her skills. Helen gives informative lectures on aspects of astrology for many diverse groups in her accessible style, making her talks suitable for both students of astrology and those new to the subject. Helen’s spent years working as a couple counsellor for the national UK organisation Relate. This experience has helped enormously in her astrological couple consultations, and today she runs her own counselling practice as well as giving astrology readings. Helen lives on the edge of the Ashdown Forest in East Sussex, England, and is married to the well-known author and lecturer Andy Thomas. She has three children.